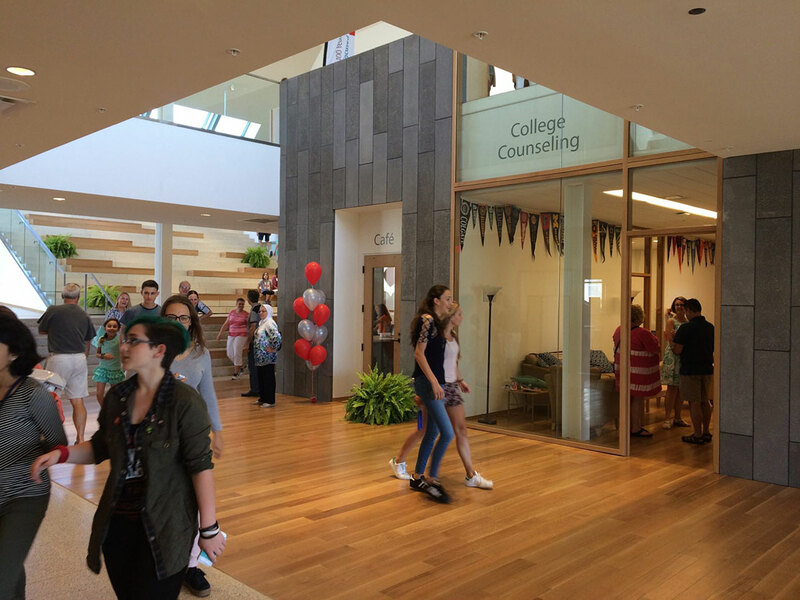 Founded in 1915, Hawken School is an independent, coeducational college preparatory day school serving 1,021 students in preschool through grade 12 from nine counties in Northeast Ohio. The school received a dollar-for-dollar matching grant from a foundation headed by Hawken alumna Ellen Stirn Mavec. Hawken was looking for a way to recognize all of the donors who made the funding of the expansion possible through the creation of two large donor boards that included over 150 custom sign plaques for donor recognition along with Stirn Hall signage and custom applied graphic quotes on the walls within the facility. 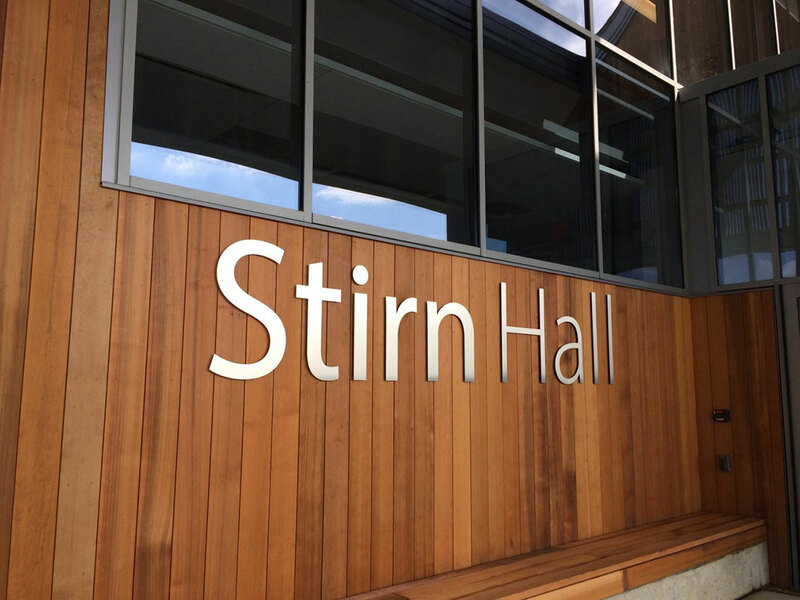 When designing Stirn Hall, architecture firm Westlake Reed Leskosky drew inspiration from deep currents in American architectural history, including the post-Colonial, white-on-white Western Reserve style. 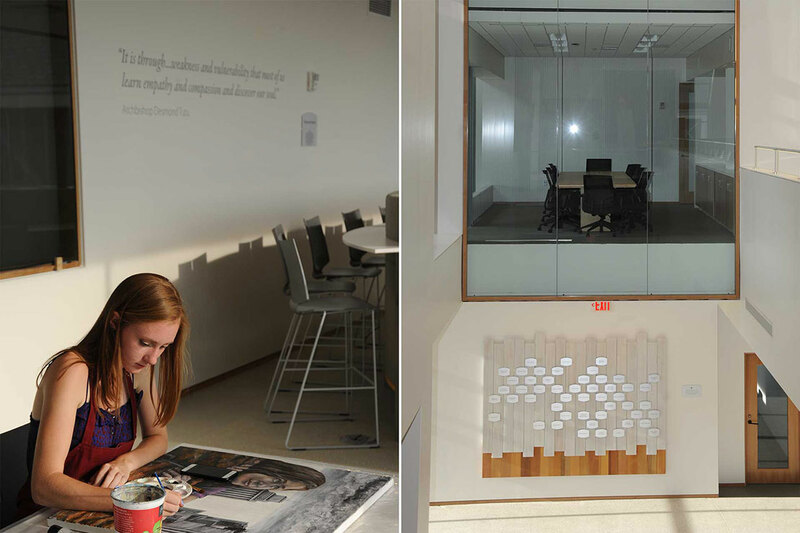 CEI needed to make sure the donor boards, plaques, signage, and quotes were understated yet upscale enough to draw attention without creating a design imbalance. 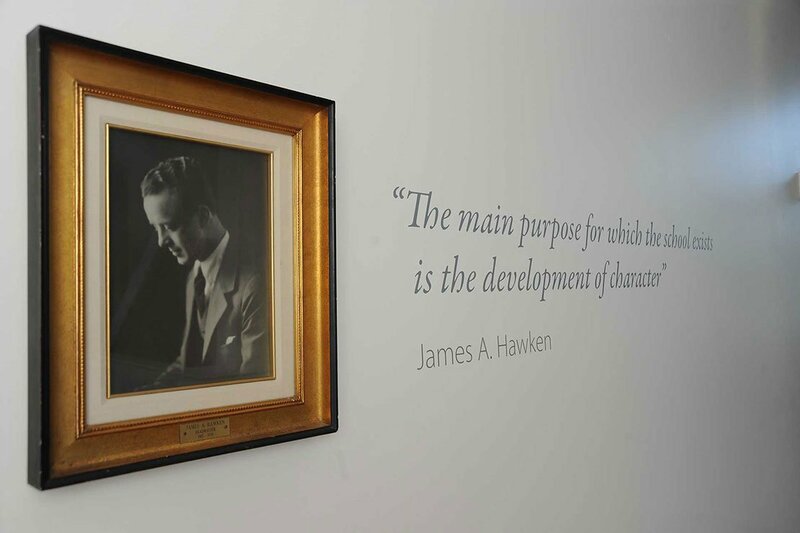 We started this project by focusing on the vibrant culture at Hawken. Understanding and highlighting this rich history would be essential when looking for ways to adapt old architectural elements into this new style that fuses tradition and modernity in ways that are fresh, unusual and uplifting. To include history in the donor boards, we used the old whitewashed boards from the buildings that were torn down to make way for the expansion as part of the backdrop. We used several different chem metal styles and sizes for the donor plaques to promote multiple levels of donor recognition and to bring visual interest to the design. 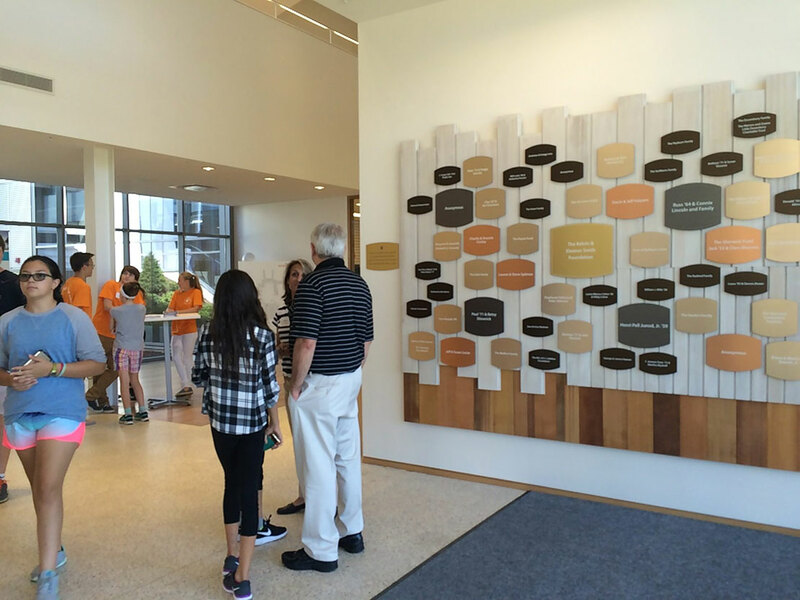 The Stirn family said the donor wall and signage exceeded their expectations at the opening event for Stirn Hall. 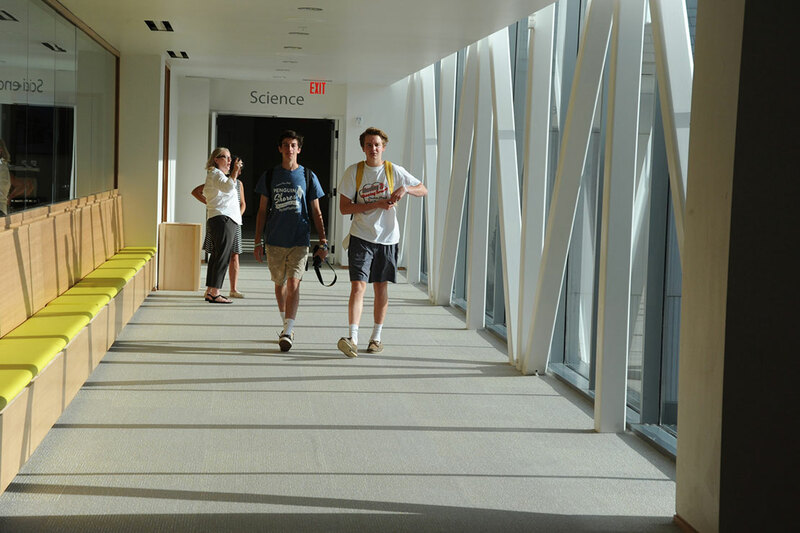 This project successfully recognized the donor’s generous gifts while also leaving an impression of heritage and community on the students that attend school there every day.